Improving performance and increasing value start with relevant corporate finance information. The accelerating pace of business change calls for corporate finance resources that enhance decision making and improve business performance. Our corporate finance resources include an array of white papers, articles and newsletters to support better understanding of challenges, ways to solve them and solution benefits to expect. Grounded in the scale, scope and depth of our experiences as enterprise-grade CFOs, our content blends critical and creative thinking to provide insightful and pragmatic perspectives on business challenges and pathways to resolution. Corporate Finance Challenges & Solutions — Executives share with us that they want to better understand their challenges and ways to resolve them. We directly address this request with content that describes root causes, potential negative impact if not resolved, solution options and value realized with the right solution. 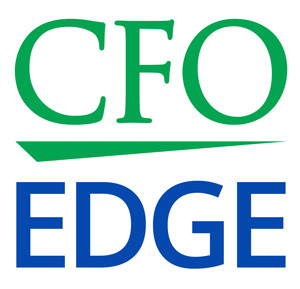 CFO Services — Executives also want to understand the who, what, why, when, where and how of engaging a CFO services partner. Our CFO services resources bring clear answers with descriptions of project CFO, part-time CFO and interim CFO services, the business case for engaging a partner, how we work and value outcomes. Discover answers to questions and new paths to improved business performance. Our complimentary white papers explore front-burner topics with looks at drivers, solutions, “how to” steps, benefits and real-world scenarios. Outsourced CFO Services: When Do They Make Sense? Access a library of 360+ articles with insights on business challenges and solutions. Posted to our blog each week is a new partner-authored article on challenges we hear executives deliberating and for which they are seeking insights. Topics address growth areas like planning and transactions; governance areas like risk and audits; advanced initiatives like restatements and revenue recognition; funding areas like financial modeling and presentations; and core accounting areas like cash flow and reporting. Visit our blog to explore topics of interest. Relevant, helpful and timely are ways Southern California executives describe our newsletter content. Our CFO services resources also include a once-a-month newsletter with links to articles published the previous month. Each article addresses a business topic presented in a concise challenge > impact > solution > benefits format. Issues also contain first notice of new white papers and commentary on areas like the economy and legislative action. Visit our newsletter page to learn more and subscribe.